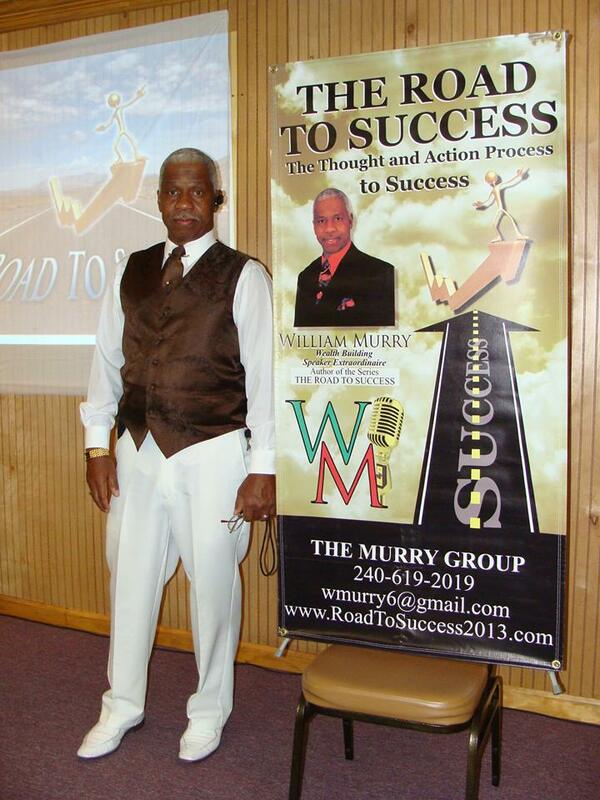 I am William Murry, one who firmly believes that “INFORMATION IS POWER”. I was raised in a small town in W. Va. and educated in the public school system. I always loved to read. I always worked to be the best. That is true even today. After I graduated High School I went on to continue my education at a small State College. After being there for a short time, for some reason, which I can’t remember why, I packed my suitcase and moved to the Washington D.C. area, to begin my life in the work force. For 14 years I worked various jobs that were not fulfilling to my inner self. I was not happy. I needed to be my own boss. I had been studying and talking to people about business. About how to start doing for self, and owning me. About their company’s systems, their corporate rules, and etc, etc. It is amazing how they will tell you, if you just ask. If someone was speaking, I was at their seminar. I would listen to their wisdom, watch their style, and revel at the AHA moments. I would read, study, read, study, & then read and study some more. If I was riding in my car I was listening to a motivational speech or a book. Something to give me information, and know how. One Day I said enough is enough and left my job to start my own business as an entrepreneur. I was more than ready..
My attitude, my desire, and my drive kept me in the forefront and helped shape me to be a leader. I was always comfortable being in front of people and leading. I realized I enjoyed speaking, and people wanted to hear what I had to say. They would seek me out for my advice and know how. When I had my vending stands and clothing stores, I would drive to New York. Sometimes twice a week, shopping for merchandise. That was a nine hour round trip. I would still be listening and studying Success. How to build my wealth and teach others. When a very good financial offer came and I sold my stores and my clothing line I was ready for another phase in life. For many years I have also been an activist. Fighting for the injustice of the common man. Being an activist and leader gave me the opportunity to meet some of the most powerful, and successful people in the country. To sit and talk with them, and get the chance to pick their brain, and speak before them and the country in some forums, was the most rewarding thing. Also to get to know them on a personal basis. The secret history and the things I have learned no college education can give you. I am too a Real Estate Agent, and investing in Real Estate, which is very rewarding. It gives me the freedom and means to do as I please. I have now been a very Successful entrepreneur and speaker for over 35 years.